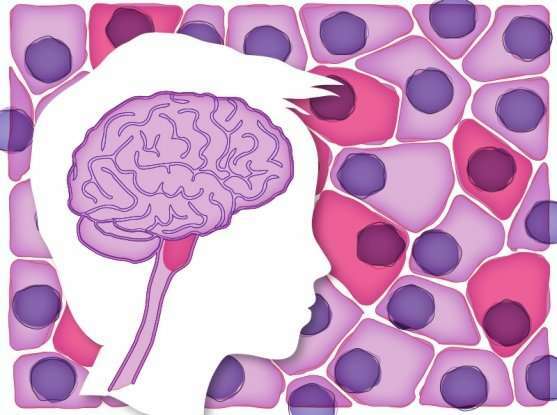 In defining the cellular context of diffuse midline gliomas, researchers find the cells fueling their growth and suggest a potential approach to treating them: forcing their cells to be more mature. Diffuse midline gliomas (DMGs) are rare, aggressive childhood tumors that arise in the brainstem. These uniformly fatal tumors' cellular roots have largely remained hidden, but a new study has helped bring them into the light. By profiling gene expression in more than 3,300 cells from six DMG patients, a team led by researchers at the Klarman Cell Observatory (KCO) and Epigenomics and Cancer programs at the Broad Institute of MIT and Harvard, Massachusetts General Hospital (MGH), and Dana-Farber/Boston Children's Cancer and Blood Disorder Center (DF/BC) has discovered that these tumors likely arise from cells, dubbed oligodendrocyte progenitor cell (OPC)-like cells, that are stuck in an immature, rapidly dividing, stem-like state. Their findings, published in Science, suggest that DMGs are the product of a perfect storm: an unfortunate combination of mutation, developmental state, and cell type. They also indicate that forcing the tumors' cells to mature may be a promising way to treat them. Unlike most brain tumors, DMGs (also called diffuse intrinsic pontine gliomas, or DIPGs) weave themselves into the fabric of the brainstem. Only recently has it become possible for surgeons to biopsy these tumors, which has opened up a flurry of activity aimed at understanding them. The few biopsies that have become available thus far have allowed scientists to discover that these tumors carry a characteristic mutation, called H3K27M. The mutation affects a powerful protein called histone H3, which influences whether entire genetic programs get turned on and off. What struck Broad Institute associate member and MGH molecular pathologist Mario Suvà was that the H3K27M mutation only appears in a unique and very narrow window of time and space. "You don't typically see this histone mutation in adults, and you don't see it outside the brainstem," said Suvà, who is a co-senior author on the Science paper. "There must be a developmental and cellular context in which the mutation can lead to cancer." Many childhood cancers, he added, feature tight relationships between genetics, age, and location. "We wanted to understand that interplay for DMGs." Given that access to clinical DMG samples remains very tight, obtaining as much information as possible from each sample was key. Suvà and his collaborators turned to single-cell RNA sequencing, a suite of genomic techniques that read individual cells' gene expression profiles. As Suvà explained: "These technologies let you hit a sweet spot where you get a lot of information, for example cell state and genetics, from very little tissue in one assay." "It is very rewarding to develop a technology and see how it can rapidly be applied to clinical oncology and hopefully offer new treatment options for this devastating disease," said study co-senior author Aviv Regev, a core institute member and director of the KCO, where many single-cell techniques have been pioneered. The team's data revealed a distinctive hierarchy of cells in DMGs, dominated by rapidly-dividing OPC-like cells with a few more mature, non-dividing cells. It is an unusual arrangement, Suvà said. "One typically thinks of cancer stem cells as being a subpopulation of cells in cancer. But in DMGs the majority of malignant cells are in this progenitor-like state." For DMGs, though, it is logical. "Other scientists have shown that normal OPCs are actively expanding in the brainstem in children at that age," Suvà explained. "So it fits our understanding that OPCs would be the cell of origin of these tumors." He thinks that the H3K27M mutation puts a brake on OPCs' development, trapping them in a proliferating, stem-like role. "For an OPC bearing this mutation, it would be hard to differentiate further." But while OPCs may be DMGs' cell of origin, they may not be the cell of mutation. "Others have found that you can put the histone mutation in cells that are developmentally younger than OPCs, and get DMG tumors over time," said Mariella Filbin, a DF/BC neuro-oncologist, Broad Cancer Program researcher, and co-first author on the Science study. "The mutation might actually occur in an earlier state, but needs an OPC's transcriptional and regulatory setting to take off." Doctor to tumor: "GROW UP"
To Suvà, the team's findings throw into stark relief just how important context really is when it comes to DMGs and other pediatric tumors. "Developmental state, cell type, and signaling pathways might be even more important in pediatric cancers than in adult ones," he said. They also hint at a potential treatment strategy for DMGs: forcing their cells to mature, an approach employed or under study for other childhood tumors. "It is almost as though those few cells that could escape their stem-like state could remember what they were supposed to do, even though they still carry the mutation," Filbin explained. "If we can get the cells to differentiate and stop dividing, maybe that would be enough." The team's expression data—along with additional CRISPR knockout and drug screening results—also reveal two opportunities for achieving that goal. DMGs' mutated OPCs, it turns out, depend heavily on two genes: PDGFRA (which produces signals that normally help OPCs proliferate) and BMI1 (which helps keep unneeded gene programs turned off). "It may be that if we leverage both of these dependencies together and trigger cellular differentiation, we might have a good strategy for targeting these tumors," Suvà said. More information: Developmental and oncogenic programs in H3K27M gliomas dissected by single-cell RNA-seq. Science. Published online April 19, 2018. DOI: 10.1126/science.aao4750.